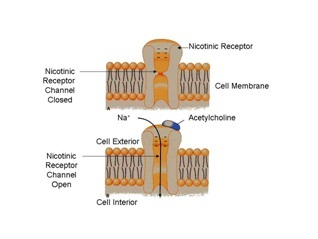 Nicotinic acetylcholine receptors (nAChRs) are ligand-gated ion channels present in many regions of the central nervous system (CNS) and the peripheral nervous system. The neuronal nicotinic acetylcholine receptors, being situated at the level of different neurotransmission pathways, participate in the function of many cerebral activities. Consequently, qualitative or quantitative deficits of nicotinic receptors are responsible for dysfunctions of these brain activities; such dysfunctions can occur at different stages of life due to brain aging or numerous neurological and psychiatric diseases of the developmental age, adulthood and old age. Modifications of specific nAChR subtypes have been found localized in specific brain regions in each such disorder. In this review, we will discuss some of the above-mentioned brain disorders, reporting the relevant nAChR changes discovered to date, and summarize the therapeutic prospects currently under development.